Shortly after getting featured on Square Enix Collective (http://bit.ly/2urN5hy), we decided to add two little Zelda-like “features” to the game: a dungeon mini-map, and tools. 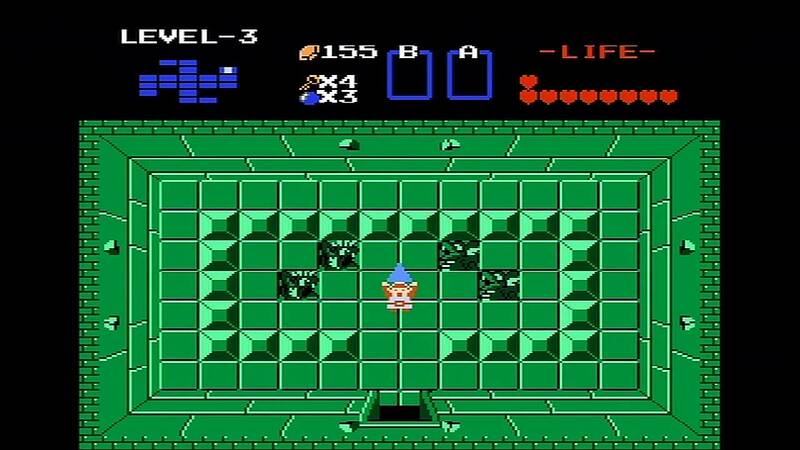 For those who remember old-school Zelda games, you’ll remember the mini-map that would show up in the top-left corner of the screen when you found the map object in the dungeon. We decided to integrate that in Soul Reaper. It helps with exploring dungeons and know where you are and where you’ve been. In a previous post, we talked about how we’re building dungeons in Soul Reaper. Each floor has a pre-defined layout made of different rooms, not unlike a Zelda dungeon. For those familiar with Unity3D, we store the floor in a prefab object and instantiate it at runtime when going down a floor. The “hardest” part was to convert the localPosition of the rooms in the canvas into a Transform child object index. Simple math did the trick (see GetIndex ()). Don’t get too excited here, we haven’t actually implemented it yet. Currently, Soul Reaper can swing his scythe in the dungeon. It does nothing yet. Just like mentioned in this post, it’s just to show a glimpse of the future. You also see the other tools in the top-left corner, and how to use them, once they’re available. The scythe can be swung to have the first turn when going into combat, cut down plants and trigger barrel explosions. A bomb can be dropped and explodes on a timer. If a monster gets hit by the explosion, they start combat with reduced health. It can also blow up objects in the vault to lead to new, previously inaccessible, areas. The grappling hook allows Soul Reaper to traverse to other platforms, leading to new treasures and other bonuses. It can also freeze monsters in place, preventing them to run after you or going into combat, for a limited time. This is similar to the grappling hook in Lufia II. The mighty shovel is the ultimate tool. Seriously! You get it by defeating the final boss. It allows you to dig yourself down one floor. No need to find the stairs anymore. It’s a great tool to go to the exact floor you want to go to, find the monsters you want to farm and repeat!